thieves twice right here in Fairfield. 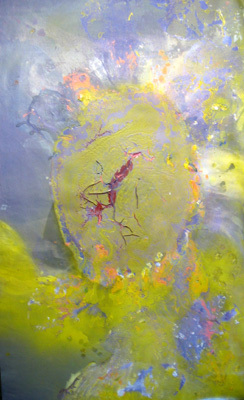 We recently received correspondence from artist Suzanne Stryker, and what she had to say shocked us. 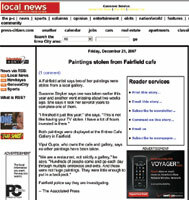 “I need your help in catching the thief of my artwork,” she pleads. lightning twice — a thief has stolen two of her ‘babies,’ as she refers to them. for the thief to return the paintings. 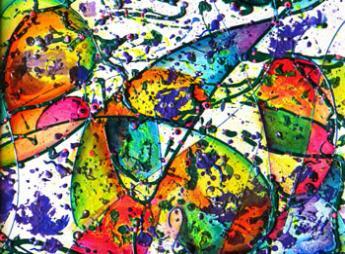 would tell you to steal the most valuable paintings,” she jokes. file charges, is maintaining her sense of humor throughout the experience. commissioned work. I can't decide which ones I like best though. Jackson Pollack, and a stained glass window. I hope she gets them back. FBI budget was approximately $6.04 billion. Stockholm in 2000, where the robbers used diversionary explosions, tire-puncture devices, and a getaway boat. million. The museum is still offering a $5 million reward for the uninsured artwork. 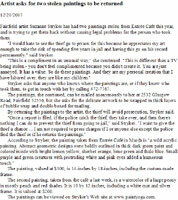 art thieves is to help Picasso maintain that status and leave the smaller artists like me alone! to anyone who does manual labor: I work with my hands; I’m a manual laborer too. I just don’t break a sweat. And my boss, even though she’s myself, is very fussy, demanding, and obnoxious. who would do such a thing, why would they do it, and where are the paintings? them to their mother or their lover? I want to know, do they like the paintings? Do they go with the couch? took longer than nine months to create. bathroom, by the shower, in direct sunlight! a connoisseur of fine art and fine women and has a burglar’s mask tucked into his tuxedo? please call me at 641-472-7767. I am offering a $200 reward for their safe return. if you agree with their choices. Feel free to e-mail me from the Contact Us page. 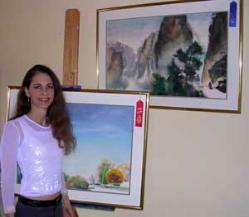 appreciate my paintings, let’s work together. Let’s go legit; I’ll be generous with commission. paintings quite a lot - to steal them. they were taken, and this way the thief can avoid prosecution." with protruding white and pink eyes added a humorous touch." 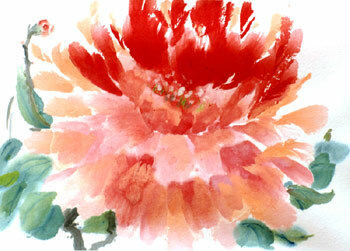 week, is a watercolor of a large peony in mostly peach and red shades.